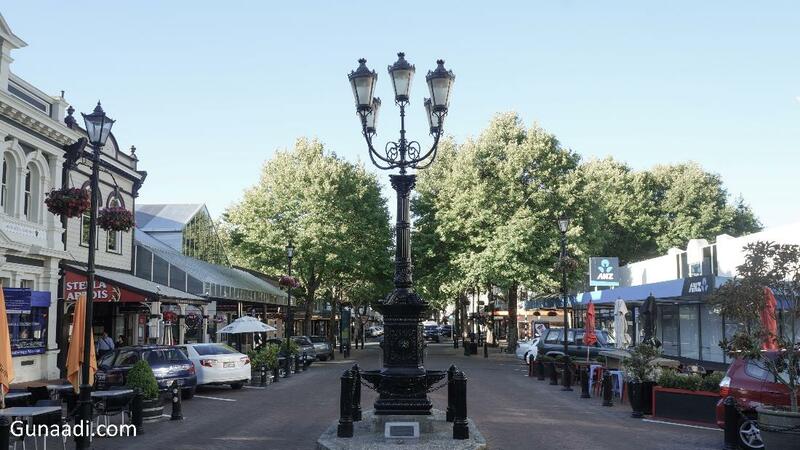 Nelson, is the second oldest city in South Island located at the tip of the island. The city where the "zero, zero" of New Zealand assigned as per the trigonometrical survey started in the 1870. The point or usually called Centre of New Zealand is located on top of the hill near the city center. 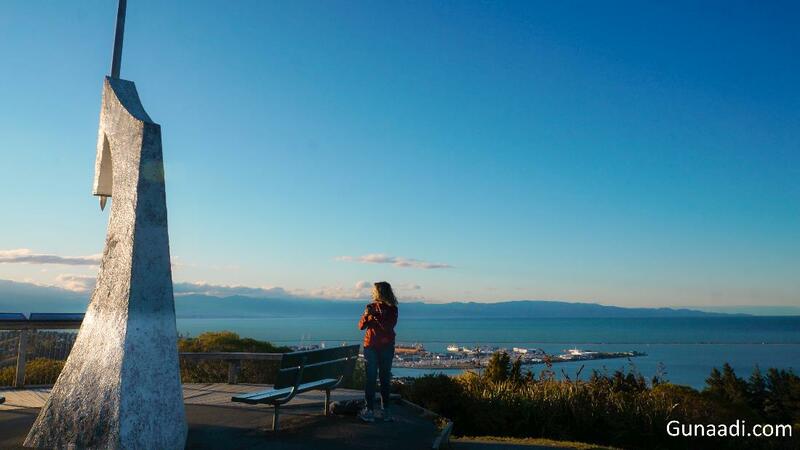 Most people come here either enjoying the city or visiting the Abel Tasman National Park. I came here because of there was no direct bus to Picton for interisland ferry. In fact, i did not have much time in this city so i tried to optimize while i was there. Walking around the city, going to the shore and visiting the monument were the activities that i did there. 10:00 - 19:30 : Travelling from Franz Josef to Nelson using old bus (seriously the bus was really old) and it was only 3 person for half journey!! Naked bus and Intercity have frequent services to/from Picton and Fox/Franz Josef. Got recommendation from other website that there was a hostel that provide free chocolate pudding every night. I booked Tasman Bay Hostel because of the free pudding (although i didn't get the pudding because i came back to the hostel late. ).The hostel was good and it was cost 27 NZD for 1 night. Another long bus journey in my trip, it took almost 10 hour of my time. I got old bus. The bus was booked from Naked bus but i never expected that i got this type of bus. There were only 3 person inside the bus. I didn't know why only few people inside or maybe not many people travel between he 2 place. It was long journey but the driver made some stop for rest and sightseeing like Hokitika, Greymouth and Punaiki. Hokitika is a town in the west coast of south island. It is 40 km south of Greymouth. This was the bus first stop for lunch. We are stopped at the jade handicraft gallery (I forget the name of the gallery but it may be famous in town because a lot people inside). The gallery sold any type of jade art. they made the art inside the shop so i could see how it was made. The price was quite expensive so i just skipped it haha. The bus stopped in Greymouth to pick up some passenger. Finally it was not 3 of us anymore on the bus. 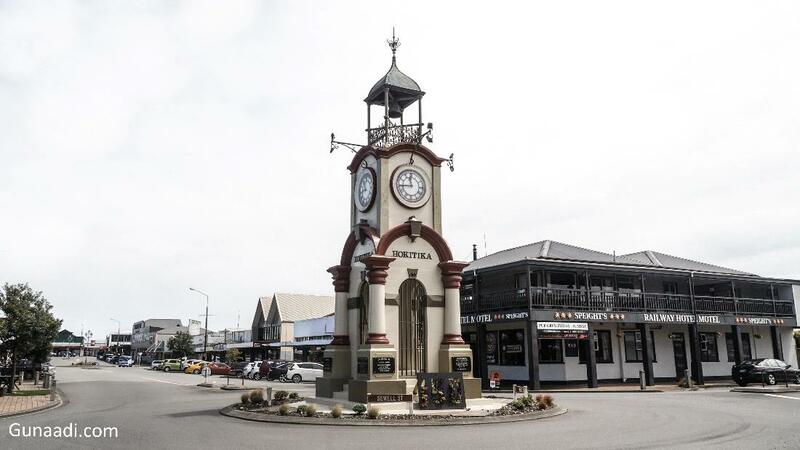 Greymouth is the largest town in West coast, more than 40% people in west coast lived here. The Town is famous with its greenstone and the driver said some famous gold mining established here. 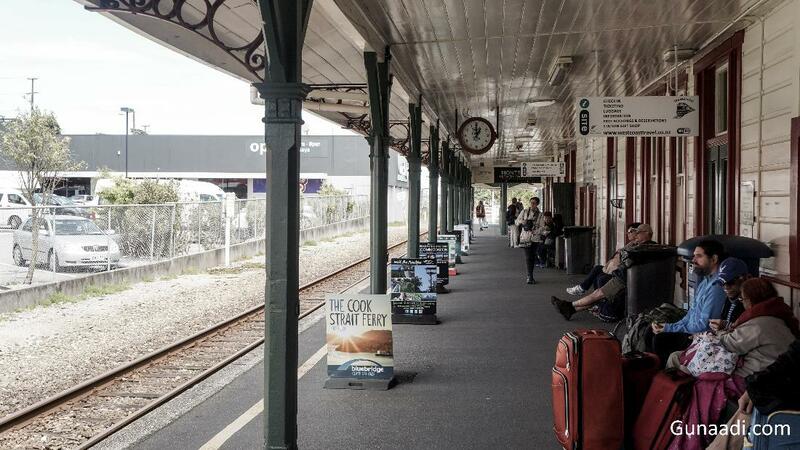 There are train, called Tranz Alpine, connected Christchurch and Greymouth so it can be an alternative transportation from east to west coast. The train will cross the mountain so you can expect unspoiled scenery along the way. I didn't take the train because it was expensive. This was the second last stop before we arrived to Nelson. I am given 30 minutes to go around Punaiki. It is a small community. 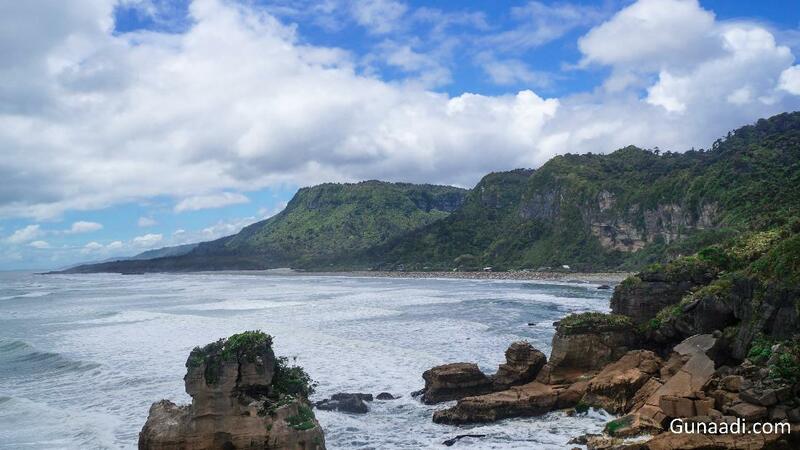 Punakaiki is a well known with the pancake rock. What is Pancake rock? It is rock had a layers so it's look like a pancake. The layer is created because of the erosion caused by sea burst during high tides. It was Monday but only bars and supermarket were still open at that day. It might be common that the shop opening hours only until 5 PM. I considered to go around the city and not many people around Of course, it was 8 PM even the sun still there. The local was very kind and kept smile when i passed by with them. Once, they came to me whether i need a help or not. I brought a map and looked stupid. On the map, there were mark written "Centre of New Zealand". I didn't have any idea what it is. I followed the way showed by the map. I met Lauren, a yoga instructor from Colorado, USA. She wanted to go to the same place with me and she said she were also getting lost. I asked her to join with me even i didn't have any idea where it is. Walking for 1 hour, we finally arrived to the "Center of New Zealand. It was located on the hill so i was quite exhausted. The Center of New Zealand simply means the zero,zero of New Zealand. The trigonometrical survey started in the 1870. They built a monument on the top of the hill. From Top, i could see the Nelson port and Sunrise was going on. It was very beautiful!